Now I don’t know if I have found 100 uses for foam board (which I have always called foam core), but I am confident that I could. I have found a lot of non-standard uses for the relatively cheap museum (small to medium sized museums anyway) staple. Traditionally these boards are used for mounting images and labels for an exhibit. The title for this blog comes from a comment a former Boss of mine made about five years ago. 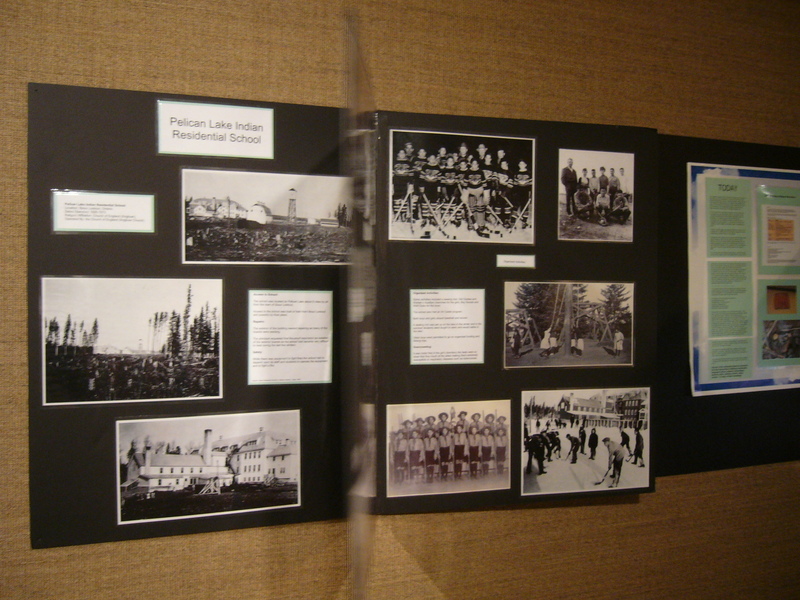 I was working up in the north of Ontario and developing exhibits on a petty cash budget. What I did have was a good supply of foam board. Therefore, whenever I needed something I did not have and couldn’t buy cheaply (or locally); I would make it out of foam board. I made brochure holders, small display stands, and I even made a book strut once. One of the easiest and most effective uses I found is what I call a flipbook. These flipbooks, which are similar to the poster racks you can flip through in stores, came about due to a need to display more material than I had space for. 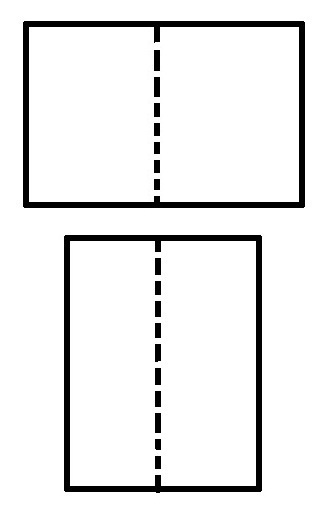 And also as a way to solve the problem of a flat 1-dimensional exhibit space. I was working with a traveling exhibit, the kind that consists primarily of images, and a few panels. Great content, but very flat in an exhibit space. I also had lots of great photos. These flipbooks became a way of adding some dimension and interactivity without spending a lot of money. Use any colour you like, white is cheapest, but black is great. You can use coloured foam board as well, to add a splash of colour to an exhibit space). Step 1: Measure the exact centre of each board and draw a pencil line (this will be the back, so don’t worry about the pencil). Orient the boards either way you want. Step 2: Using the ruler as a straight edge, carefully cut along your pencil line with the box cutter on each board. Being very careful only to go through the top layer of paper and about half-way into the central foam (you don’t want four pieces). Step 3: Carefully snap the remaining portion of the foam core of each board. You now have two foam boards that fold in the centre but are held together very nicely with the remaining side. (optional step: you may want to reinforce the seam with some form of tape if your books will see a lot of wear). Step 4: Adhere your photographs, labels, etc. to your boards as you normally would, paying attention to how they will eventually be displayed on the wall. (Remember you will have both the front and back of the free-hanging sides. Step 5: To mount the flip books you will need a partner. 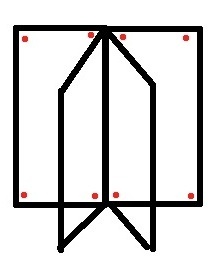 Place the left-hand side of the left board against the wall in the correct position. Then hammer (or gently tap) a finishing nail into each corner – this takes practice, you don’t want to hit the foam board with your hammer – It will dent! Step 6: Square the right side of the book up against the left and repeat step 5. Tap finishing nails into the corners. Nice. 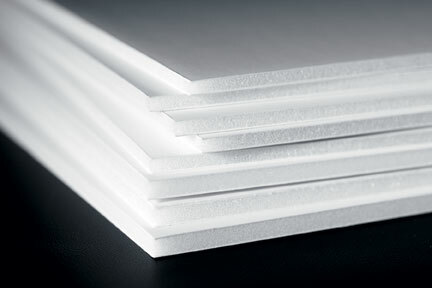 Without foam core our exhibits would decrease, dramatically.